The formerly independant city of Galt, now a village within Cambridge, became the location for Sturtevant's second foreign factory in 1913 as a method of tariff evasion. It served the Canadian market for approximately 50 years. 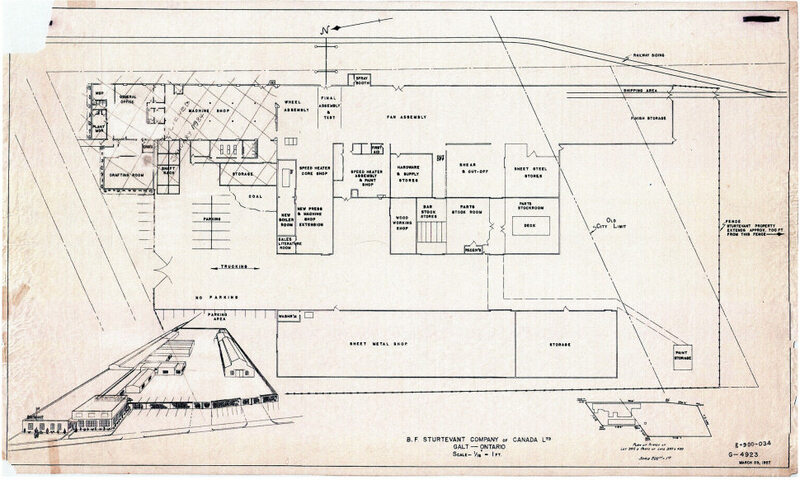 The schematic of the 52 Middleton St. plant is shown below.